The successor to the category-leading BlackVue DR650S model, the first cloud connected dashcam. 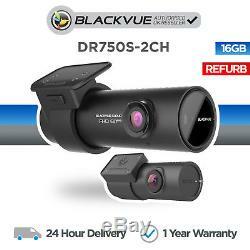 The BlackVue DR750S sets a new dashcam standard. Not only does it offer the unique BlackVue Over the Cloud capability, it also delivers unmatched image quality night or day. A DUAL-CHANNEL DASHCAM DESIGNED WITHOUT COMPROMISE Both front and rear cameras feature Full HD Sony STARVIS image sensors for best possible image quality under in any lighting condition. Also included is GPS logging Wi-Fi, Cloud connectivity, impact and motion detection. All this in a stealthy compact design that has been further refined and never gets in the way of your driving. No need for a screen: with the free BlackVue app for iOS or Android, connect to your dashcam and view what its seeing whenever you want. 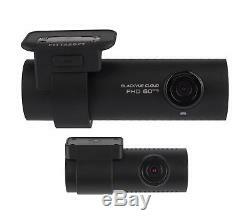 DUAL-FULL HD CLOUD-EQUIPPED DASHCAM Dual STARVIS sensors at Full HD 1080p resolution (front 60 frames per second, rear 30 frames per second). Record fluid video footage of the front and rear of your car at a wide 139° viewing angle. STARVIS imaging sensors are a reference in video clarity in low-light conditions, and they equip both the front and rear cameras of the DR750S-2CH. You can rest assured that your dashcam will capture critical details whether you are driving or away from your vehicle in parking mode. THE SONY STARVIS DIFFERENCE The Sony STARVIS image sensors that equip both the front and rear cameras of the DR750S-2CH deliver outstanding low-light performance. For those who want even more brightness in dark environments, the DR750S-2CH features Enhanced Night Vision. When activated, it boosts the ISO sensitivity in low light without blowing up the highlights in bright surroundings. Even with Night Vision OFF, the STARVIS sensor easily outperforms regular CMOS sensors. 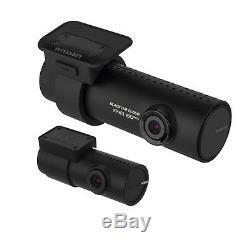 High-Quality Videos DR750S-2CH shoots high quality video footage at Full HD resolution. HIGH FRAME RATE FOR EXTRA FLUIDITY DR750S-2CH records extra uid videos at 60 frames per second, keeping all details sharp even in fast action. With 60fps, motion blur is much reduced. That means your DR750S-2CH can better capture crucial details like licence plates, even on fast-moving objects. OPTIMAL ANGLE OF VIEW Wide 139 degree field of view captures super clear FHD quality video whenever incidents or accidents happen. SUPPORT MICROSDTM CARD UP TO 128GB. DR750S-2CH ships with a 16GB microSD card but supports cards of up to 128GB, allowing the user increased recording time if required. SONY STARVIS NIGHT VISION The Sony STARVIS image sensor delivers outstanding low-light performance. ADAPTIVE FORMAT FREE Developed by BlackVue, this le system improves recording stability and reduces the need for microSD card formatting, while also giving you the exibility to change recording time duration (1/2/3 minutes) and image quality setting. EVENT FILES OVERWRITE PROTECTION Dashcams record in a loop, overwriting older les when the SD card memory is full. The DR750S-2CH can prevent Event les (triggered manually or by impacts) being overwritten. Up to 50 les can be protected in this way. By choosing to allow new Event files to overwrite old Event files, you will always keep the latest 50 clips. BUILT-IN IMPACT & MOTION DETECTION While driving, your BlackVue will detect impacts and sudden changes in speed. While parked, it also detects movements. Video les are marked accordingly so that you can easily nd the relevant ones in the BlackVue Viewer for Windows and Mac OS, or via the BlackVue App for iOS and Android. BUILT-IN GPS Record vehicle speed and location for playback in BlackVue Viewer Application. BUILT-IN WI-FI AND BLACKVUE APP View live recordings, play back videos, share with social media and back up files using the BlackVue smartphone App and in-built Wi-Fi. 3 RECORD MODES Normal, Event and Parking modes are activated through the built-in G-Sensor. Watch recordings, check speed and location, trace route of vehicle on Google Maps. 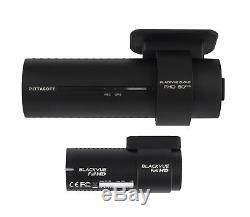 A range of unique realtime features and services available only on select BlackVue dashcams. BlackVue Over the Cloud combines state-of-the-art dashcam technology with a suite of innovative connected features that take the BlackVue user experience to new levels. BlackVue Over the Cloud unlocks the true potential of your dashcam, remotely connecting you with your vehicle and providing additional functionality including Live View, Video Backup, Realtime Tracking and Emergency Alarms. Connect to your BlackVue anytime, from anywhere in the world with BlackVue Over the Cloud. Back up important videos to the free Cloud storage. Play and download videos from your dashcam or the Cloud from anywhere. Enjoy Two-way Voice Communication with the driver from the app through the BlackVues integrated speaker and mic. 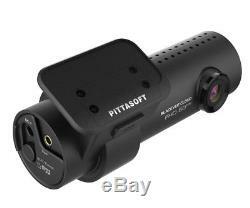 Remotely monitor video from your vehicle in realtime. View the precise location and speed of your vehicle on a detailed map, in realtime. 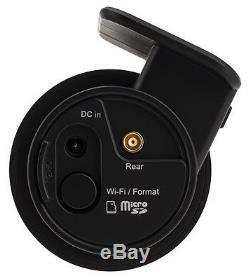 Talk directly to your vehicle from your smartphone via the dashcams in-built microphone. Move files from your dashcam to Cloud storage or your smartphone/ tablet, right from the app. Play videos stored in the Cloud or in your dashcam directly from your smartphone or tablet. Full HD 1080P Front and Rear with smooth 60 Frames Per Second. Sony STARVIS CMOS sensor for superb clarity night or day. BlackVue Over the Cloud equipped. 139 Degree Ultra-Wide Viewing Angle. Supports Up To 128GB microSD Card (16GB card supplied). Loop Recording & Intelligent Parking Mode. User-Friendly Interface (Voice Guidance & LED). Wireless Firmware Upgrade (Firmware upgraded over-the-air). Discreet Design - all black casing for stealth installation. One Touch Self Format and advanced file management. 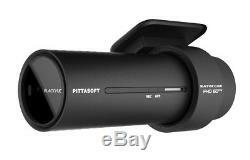 BlackVue App (Android and iOS, Windows 8/TR). BlackVue Viewer application (Mac and Windows). 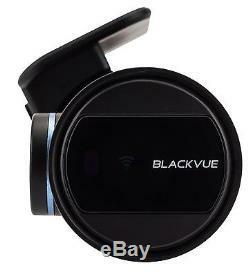 Official UK BlackVue Shop is part of the NWX group of companies, a leader in in-car electronics since 1989 and the official UK importer and distributor of BlackVue products. We hold the UK's largest stocks of BlackVue equipment and offer same-day despatch via UPS courier from our central warehouse. The item "Blackvue DR750S-2CH 16GB Front & Rear Dash Cam Wi-Fi GPS Full HD Refurbished" is in sale since Friday, December 8, 2017. This item is in the category "Vehicle Parts & Accessories\In-Car Technology, GPS & Security\Dash Cams, Alarms & Security\Dash Cams". The seller is "blackvueuk_outlet" and is located in Lanark. This item can be shipped to United Kingdom, Ireland.